Npower Settlement and Agent Charges too expensive? This might just save you some money! If you have a half hourly supply live with Npower (MPAN starting 00), you need to familiarise yourself with the Settlement and Agent Charge arrangements on your account. We have found that default Npower Settlement and Agent charges are expensive. Whilst all half hourly supplies require these services, we have managed to find some of our clients as much as 64% savings compared to the default Npower Settlement and Agent Charges (MOP + DC combined). What are Npower Settlement and Agent Charges? Npower Settlement and Agent Charges cover both the Data Collector (DC) and Meter Operator (MOP) charges when the client hasn’t appointed their own provider for these services. Unlike other suppliers, Npower’s Standard Conditions of Supply mandate that Npower will nominate the Data Aggregator (DA), not the client. MOP stands for Meter Operator, and it is their role to provide and maintain your electricity meter and communications, typically on a five year lease contract. If you see a Meter Operator Charge on your supply bill, this is a default MOP charge. The charge gets passed through when the customer has not appointed their own provider for this service. We have seen Npower bill customers as much as £600/year. for default MOP charges. This is way too expensive. We have been able to deliver customers as much as 68% savings on default MOP charges, savings of £407/year. DC stands for Data Collector, and they are responsible for the collection and processing of your electricity data and the delivery of that data to your DA and electricity supplier. If you see a £26.25/month charge on your bill, this is a default Data Collector charge. We have helped customers save 54% by appointing their own Data Collector via Direct Power. Get in touch today to see if we can arrange similar savings for your account. It is certainly better to have an extra £175/year in your account rather than pay this out to Npower! The DA is responsible for the aggregation of your metered data in accordance with industry standards, ensuring it is compiled ready for settlement and billing purposes. Remember, unlike other suppliers, Npower’s Standard Conditions of Supply mandate that Npower will nominate the Data Aggregator (DA), not the client. So if you are on supply with Npower, you only need a MOP + DC, not the usual MOP + DC + DA arrangement. At Direct Power we are proud to offer, MOP, DC and DA services on a pick and mix basis, perfect for those on supply with Npower, who only need a MOP + DC service. Note it is typical for DC and DA to be bundled together. We have come across instances when electricity suppliers have double billed clients for MOP and DC + DA charges. If you have your own MOP, DC and DA contract in place, and suspect you are being double billed in error, please get in touch, Direct Power can help to arrange a credit for any erroneous double billing. We just secured a £1,743.33. credit for a client who had been a victim of such double billing! 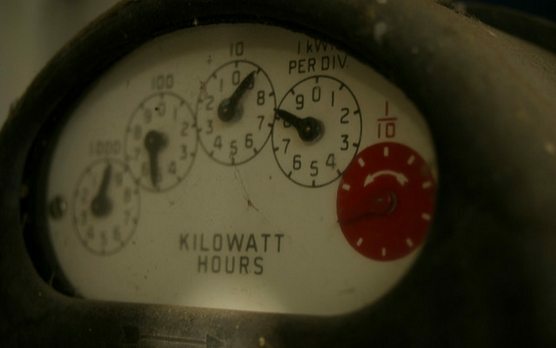 All Half Hourly electricity supplies require a Data Collector, Data Aggregator and Meter Operator (MOP). If a client doesn’t arrange their own contracts for these services then the supplier will appoint their default service provider and the charge will appear on the monthly supply bill. The default charge is generally much higher than if the customer appointed their own MOP + DC + DA service. The moral is, pay attention to the line items buried on your bill. Complacency is easy and understandable when it comes to reconciling your monthly electricity bill, but pay attention as there may be significant savings to be found! If you suspect double billing, or don’t understand anything get in touch with Direct Power. At the very least we can answer your questions about MOP, DC and DA services. At the very best we can find you significant savings on MOP, DC or DA services.